After a season of hard work and outstanding performances, the final battle for glory is here. 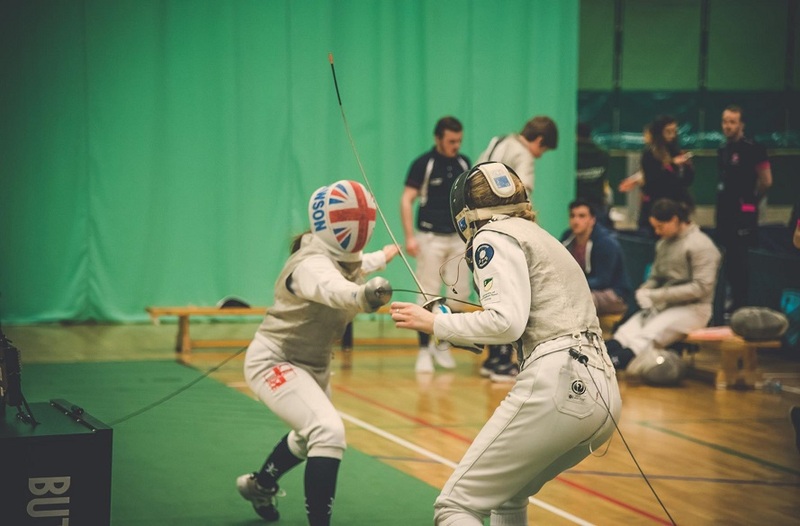 Four of NTU’s best teams make the short trip across the city to our neighbour, the University of Nottingham, for BUCS Big Wednesday 2019 to compete for gold in the Trophy and Championship. NTU Men's Lacrosse celebrating winning the BUCS Championship last year. 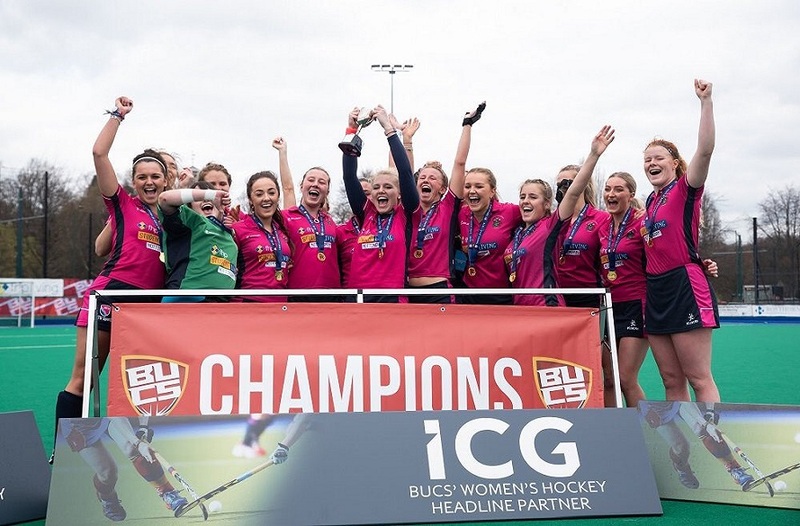 BUCS Big Wednesday is the culmination of BUCS sport leagues and programmes and the event will see over 60 of the UK’s top university teams head to Nottingham, all to compete for Championship and Trophy titles. NTU have a record four teams competing for silverware. Women’s Football, Hockey and Table Tennis will all battle it out in the trophy while our Men’s Lacrosse team look to defend their Championship crown. The day is all set to be fraught with passion, excitement and quality sporting action. With large crowds expected across all events the atmosphere will be at a fever pitch. We will be there throughout the day covering every flick, tackle, shot and save as our teams go all out for glory. NTU are unbeaten in all competitions this season. The NTU Women’s Football team have quite literally had the perfect season. A perfect ten wins from ten games in Midlands 1A saw them storm to the league title in December, and with a tight-knit talented group of players, the pinks aren’t done yet. They want to add the BUCS trophy and promotion to their accolades list. 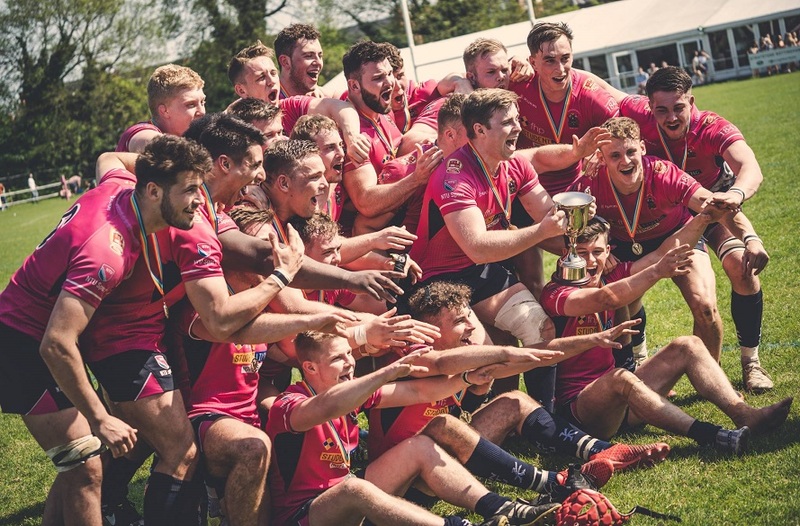 Road to the final – It has been a long journey for NTU to the final, back in November the team just squeezed past Edinburgh with the help of extra time. The last sixteen and the quarter finals proved an easier affair with comfortable 5-0 and 8-0 wins against Northumbria and York respectively. The semi-final pitted NTU against last year’s trophy champions, Leeds. Not to be discouraged, the women in pink continued their class act to win 3-0 and earn a place at Big BUCS Wednesday. Who should spectators keep an eye out for? - “It’s hard to pick out any one stand-out player from the squad this season, simply as all of them have played so well! With the Cup specifically though Amy Sims, Jordan Atkin and Charlotte Broad have made a big impact in the knockout games so far, scoring or setting up goals in each of the last three rounds. Also our entire defence has performed really well, keeping clean sheets in the three of the four cup games so far”. How are you feeling about the game? – “I’m nervous, but confident at the same time! Nervous, simply because it’s a Cup Final and I know how much it would mean to each of the players for them to win it, in particular as for three quarters of them this is their first season in BUCS football. Confident though due to how well we’ve performed all season, winning every game in the league and cup so far in to get to this point”. What would it mean for the team to win the final? 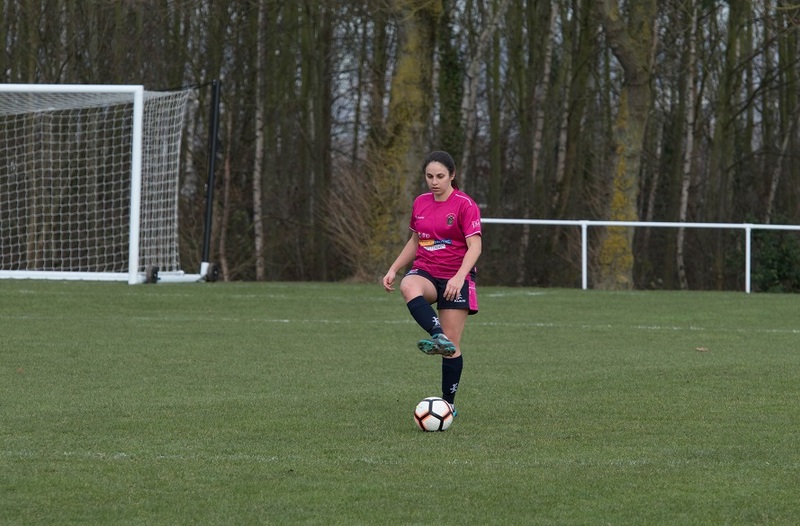 - “It would be a huge achievement for the team to win any final, but this one would be more special as it’s the first time a NTU Women’s Football team has reached a national final! It’d also keep our momentum from the league season going heading into the Playoffs the following week”. NTU are looking to add trophy success to their North B league title. It has been stellar year for NTU Women’s Hockey first team: they won nine from ten matches to secure the title in North B and are now looking to add this trophy to their collection. With such a talented squad head Coach Mark Wadsley will be hoping they can complete the double. Road to the final – A bye in the first round (of 64 teams) put NTU straight into the top 32 of the competition. Wins against Liverpool and Sheffield put the women in pink through to the business end of the trophy with ease. The quarter finals saw NTU travel to Edinburgh where a tough game, that finished 2-2, was won by NTU on flicks, with the final score at 5-4. The semi-final once again went all the way to flicks which NTU won 4-2 to put them through to the final. How are you feeling ahead of the game? - “The girls are excited about the match, it has been a long season and we are looking forward to playing in a final. It's great that the final is in Nottingham as we have had a lot of away trips to get to it including all the way up to Edinburgh in the 1/4 finals”. What would it mean for the team to win the final? - “It would be a great way to finish of an unbeaten season. One of the team's aims was to win the Trophy at the start of the season and to actually achieve that would be a big achievement for the girls”. One to watch - Both teams will look to play attacking, open hockey and so it should be an end-to-end fixture. NTU have scored lots of goals this season so will hope to replicate that in the final and give supporters something to cheer about. NTU Lacrosse dethroned long time reigning champions Durham last year. 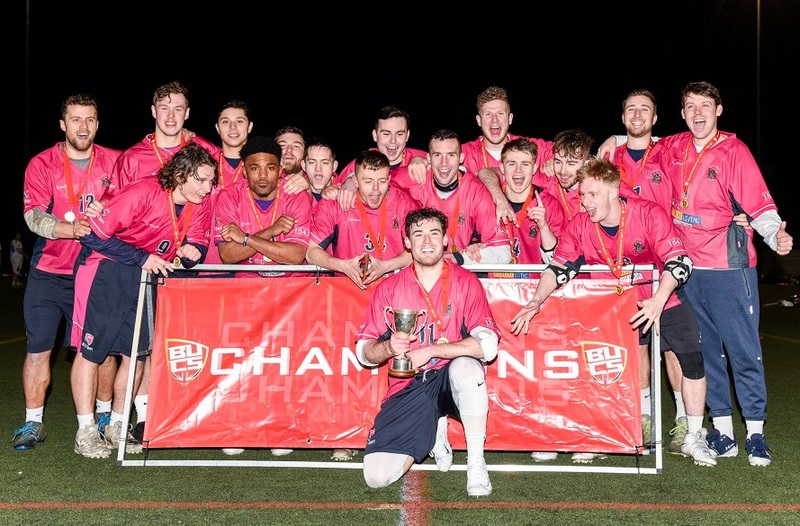 It’s a case of ‘as you were’ for NTU Men’s Lacrosse 1 at this year’s BUCS Big Wednesday. They return to defend their title against last season’s opposition the University of Durham. NTU made history last year when they ended Durham’s ten-year unbeaten run to put a new team at the top of University lacrosse. Road to the final – After finishing second in Premier North with seven wins from ten games, NTU received a bye in the last sixteen of the championship. In the quarter finals, an away trip to Bath sae the men in pink gain a solid victory with a final score of 10-1. The last hurdle for NTU to overcome came in the form of the University of Manchester away in the semi-finals. Determined play from our side saw them win 16-5 and put NTU through to the BUCS Big Wednesday in convincing fashion. How are you feeling about the match? - “Extremely confident, we know the opposition really well now and I don’t think they have seen us at our best. We have proven we can dominate certain areas of the game and we have to maximise those opportunities. In addition to that our boys have been putting in a lot of extra conditioning work which was a critical part of our success in last year’s final”. What would it mean for the team to win the final? - “The team has grown throughout the season, they know now that they can play with Durham following our narrow home defeat to them back in November, and we’ve improved immensely as a team since then. To repeat what we did last season would be a huge achievement for the university and for the lacrosse programme”. What player / players should spectators keep an eye out for? - “Hard question to answer as we are lucky to have a number of players who have played internationally for England and Scotland in the squad, as well as players who bring a huge amount of experience having played NCAA lacrosse in the USA. We are definitely not a one player team, and hopefully you will see that in the final”. NTU Will be looking to cause an upset when they take on UON. 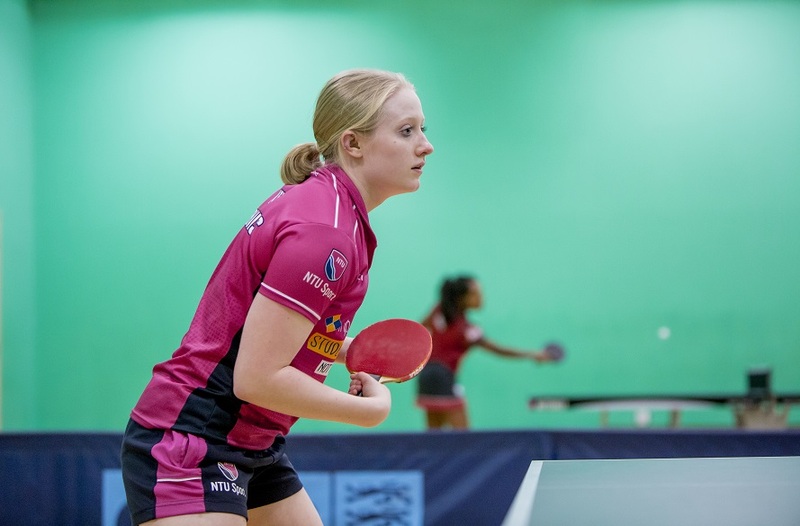 NTU will be looking to finish the year in style at BUCS Big Wednesday as they hope to take the edge on a very strong UON team that have invested heavily in their table tennis programme. The pinks will certainly cause a big upset, should they win. Road to the final – After finishing third behind two strong UON sides in Midlands 1A, NTU received a bye to progress automatically through the top 32 teams battling for the trophy. In the last sixteen, NTU welcomed the University of Surrey to Lee Westwood and the pinks battled hard to win 3-1. The quarter finals saw NTU get a win over Durham University to reach the semi-finals. NTU showed some determined play to beat the University of Sheffield and progress to the final. How are you feeling ahead of BUCS Big Wednesday? - “I am feeling very positive about the match, we have done very well to reach the final and cement our reputation as the second-best University in the country for table tennis. We were unlucky not to have our men’s team make the final, but they unfortunately lost to a very strong University College London team. It would be massive for us to win the match, but it will be extremely difficult against a very strong University of Nottingham team. They have a player that has been brought in specifically to win them medals, but we will give it our all and put forward a good account of ourselves. I think we need to remember it is a great accomplishment reaching the finals, and I will be urging the girls to enjoy the event and day; play their natural games and see where it takes us”. 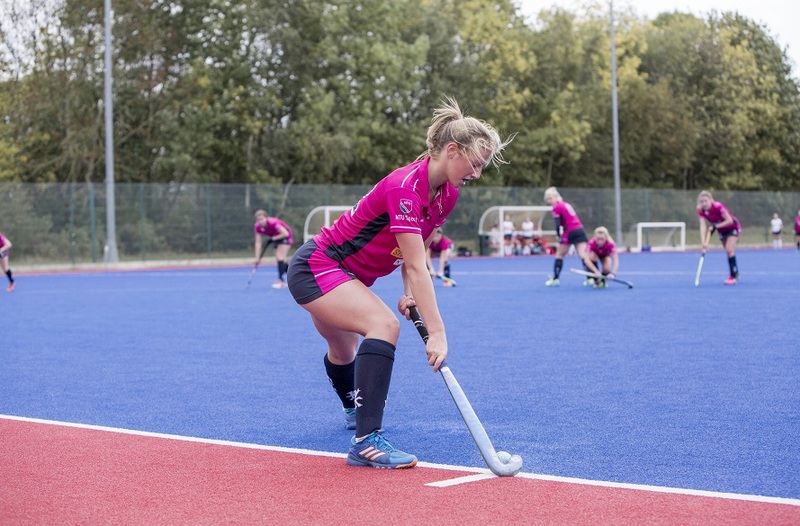 One to watch – NTU have two very strong players to watch: scholars Gina Rieck and Lauran Evans both secured third place finishes in their respective leagues behind two very strong UON teams. They will be key to a potential green and gold defeat. BUCS Big Wednesday is held at University of Nottingham on Wednesday 27 March. We will be on the ground providing live updates on all of our teams throughout the day as they go for glory. The teams need all the home support they can get, buy tickets here and cheer on the pinks.